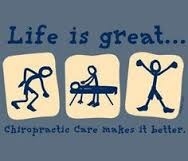 The benefits of chiropractic massage therapy are well noted. Throughout the years, chiropractic massage therapy has been known to fight a large number of conditions. Some of the benefits of this therapy include, relief from joint and muscle pain, increased blood circulation as well as stress and depression reduction. Chiropractic Massage Therapy has also been known to detoxify the body and remove waste and toxins from the body. The overall result that is sought after in chiropractic massage therapy is the ability to bring the body to its natural state with increased healing capabilities.